On my way to work this morning i decided to buy some fruits from my usual fruit seller. So being the commodities economics nerd that i am, i usually try to scan through the prices real quickly to spot the upward and downward differentials. 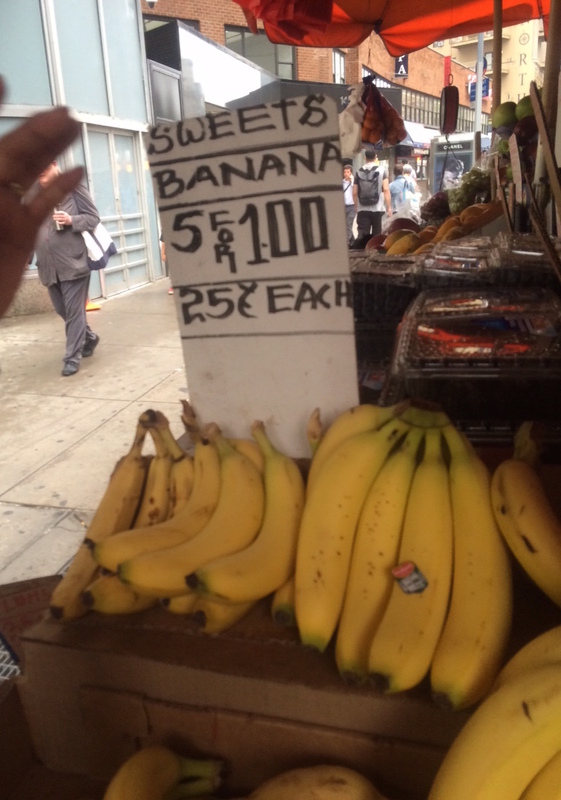 So i was a little bit surprised (albeit pleasantly), to find bananas selling for 5 fingers for a $1. So out of curiosity, i decided to checkout out a few of the global Banana Market indicators and fundamentals. 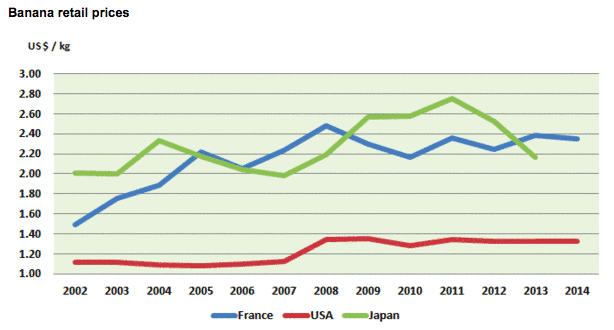 The US and the EU enjoy some of the lowest banana import prices. The complete underlying factors for this might require a bit of research. Even though i suspect that this in part due to improved supply-side structural factors such as enhanced farming management techniques due to technological advancements moisture management, disease control, etc. Another factor that i could think of was that of supply-chain efficiencies. 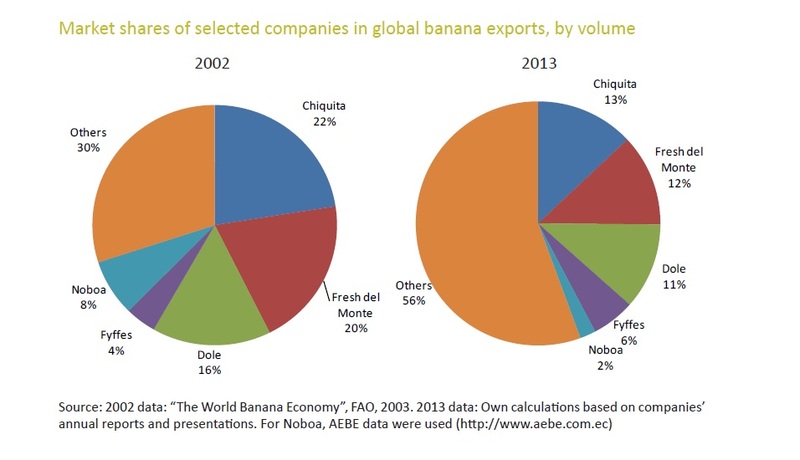 Two of the worlds largest Banana industry companies Chiquita (US based) and Fyffes (Ireland based) are based out of these two territories and that that they control a sizable marketshare, one could argue that they are able to maintain low import prices due to their economies of scale advantage. 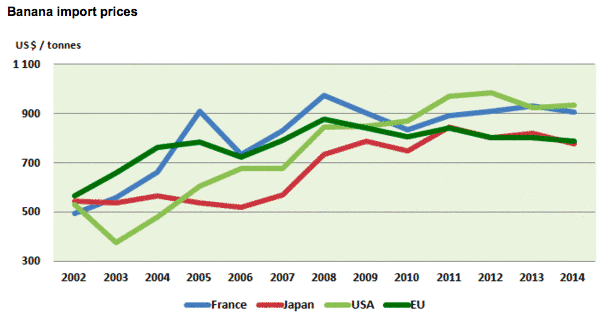 Once again the US seems to enjoy the lowest Banana retail prices upon a close trend analysis. Considering the fact that Dole, Fresh Del Monte and Chiquita are all US based and control around 11%, 12%, and 14% of the global banana market; one could argue that increased competition amongst these industry behemoths is either causing downward price pressures. In the final analysis the ultimate beneficiary is the US banana consumer. Interesting insights…..wondering what the trends mean for our local markets in Ghana at the current prices of the dollar!! !